All of our homes across England and Wales will once again take part in this year’s Care Home Open Day event on Friday 16th June. 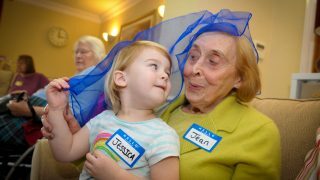 Care Home Open Day is a UK wide initiative, which aims to connect care homes with their local communities, challenge misconceptions about care and show people the excellent services that are available at the heart of their community. 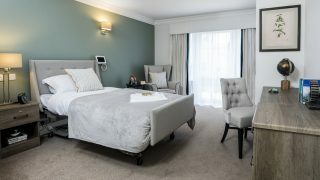 Since its launch in 2013, by a group of leading care providers and organisations, Care Home Open Day has become an important date in the Hallmark Care Homes calendar of events. 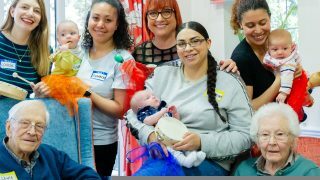 Our homes hold regular community open days and visitors are always welcome, but taking part allows us to create a much bigger impact. It’s an opportunity as a care provider to challenge any negative stereotypes associated with care homes and celebrate the work we do and how much we care. Last year we had over 300 visitors to our homes, which included Mayors, MPs, schools, businesses and healthcare professionals. This year we are expecting an even bigger turn out. All of our homes have worked extremely hard to incorporate this year’s theme of ‘Friendship’ into their activities and have shared their plans on the Care Home Open Day Website. There will be refreshments available throughout the day in each Hallmark home and plenty of opportunities to meet our care team and our lovely residents. Tours of our homes award-winning facilities will also be available upon request. 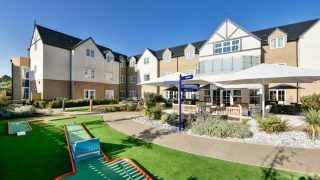 From arts and crafts and summer outdoor activities, each home is celebrating Care Home Open Day in their own unique way. 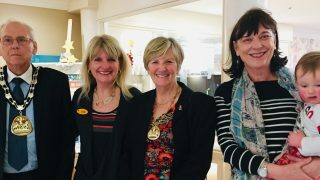 This year, the team at Lakeview, our care home in Lightwater, have encouraged visitors to come along and celebrate the lives of our residents and view their friendship photo and art exhibition. Meanwhile, team members at Admiral Court our care home in Leigh on Sea, will be running a community lunch and sing-along with four local schools. For full details on what each home has planned and how to RSVP please see below and contact your nearest Hallmark care home. By Appointment Only. On Thursday 15th June, the home will be running a community lunch and sing-along with residents and pupils from four local schools. The home will also be selling cupcakes to raise money for The Alzheimer’s Society. Contact Ashish at admiralcourt@hallmarkcarehomes.co.uk or call 01702 472288 for further information. On Friday 16th June from 10:00am to 4:00pm, the home will pull out all the stops with professional entertainment from Shinfield Choir, a visit from mobile zoo Wild Science and local playgroup Messy Chums. Contact Jim at Jim.Brownjohn@hallmarkcarehomes.co.uk or call 0118 912 3210 for further information. On Friday 16th June, visitors are invited to view a photo exhibition, using photos from the residents’ lives to show what friendship means to them. The Mayor of Rugby and the local MP will also be in attendance. At 2:30pm, the home’s Dementia Champion and Customer Relationship Manager Karen will also be holding a Dementia Friends session for anyone interested in learning more about dementia. Contact Karen at Karen.Handley@hallmarkcarehomes.co.uk or call for 01788 811976 further information. On Friday 16th June, visitors are invited to view an art exhibition created by the residents. There will also be several arts and crafts workshops taking place throughout the day for visitors and residents to get involved with, such as a friendship bracelet workshop and a card making session. Contact Sara at Sara.Tupper@hallmarkcarehomes.co.uk or call 01277 658529 further information. On Friday 16th June from 10:30am, the home will be celebrating Care Home Open Day with a friendship bracelet workshop for visitors and professional entertainment. 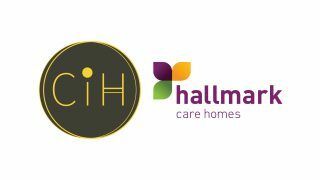 Contact Alexandra at Activities.Bryncelyn@hallmarkcarehomes.co.uk or call 01656 736839 for further information. From 11:00am, the home will be holding a Family Friday’s event for residents and their relatives with light refreshments. In the afternoon, guests can enjoy a outdoor party with folk music and Pimms on the lawn! Contact Kirsty at BuckleshamGrange@hallmarkcarehomes.co.uk or call 01473 237338 for further information. On Friday 16th June the home will be hosting a high tea event. Contact Sian at Activities@cartref@hallmarkcarehomes.co.uk for further information. On Friday 16th June, the home will be hosting a high tea event with professional entertainment from Rob Dee. Contact Helen at Helen.Harries@hallmarkcarehomes.co.uk or call 01291 421940 for further information. On Friday 16th June at 3pm, visitors can meet some furry friends and help the local Mayor judge a dog show organised by the home. Contact Mitchell at Mitchell.Minney@hallmarkcarehomes.co.uk or call 01685 721046 for further information. On Friday 16th June, the home is hosting a street party event with professional entertainment and an ice cream van. The Mayor of Merton and the local MP will also be in attendance. Contact Jane at Jane.Knight@hallmarkcarehomes.co.uk or call 020 8971 0190 for further information. On Friday 16th June from 11:00am- 4:00pm, visitors can view a friendship photo and art exhibition organised by the residents. In the afternoon guests are invited to join a high tea event with entertainment from a traditional harpist . The local Mayor will also be in attendance. Contact Sue at Susan.Stroud@hallmarkcarehomes.co.uk or call 01276 480430 for further information. On Friday 16th June, the home is holding an advice day for anyone with questions or concerns about care. In the afternoon, guests are invited to join a BBQ and stroke animals from a mini petting zoo. Contact Lisa at Lisa.Vile@hallmarkcarehomes.co.uk or call 01273 859790 for further information. On Friday 16th June, visitors are invited to plant a plant and watch the flowers grow like the home’s relationships within the local community. The local Assembly Member and MP will also be in attendance. Contact Jonathan at Jonathan.Walters@hallmarkcarehomes.co.uk or call 02920 566000 for further information. 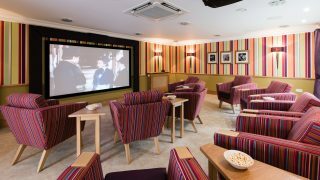 On Friday 16th June from 10:30am, visitors can view a 1960’s reminiscence pod in the cinema room and relive the swinging sixties. Contact Jonathan at Jonathan.Walters@hallmarkcarehomes.co.uk or call 02920 537800 for further information. On Friday 16th June, the home is holding a 1970’s Abba themed event, with professional entertainment. The residents and team members will also be dressing up as part of the special event. Contact Barbara at Barbara.Wills@hallmarkcarehomes.co.uk or call 02920 548929 for further information. If the above hasn’t convinced you, please see below an infographic detailing some more reasons why you should visit a Hallmark care home this Care Home Open Day! 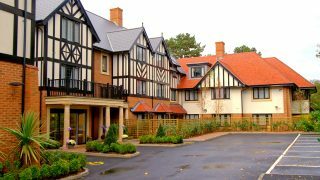 For full news updates on Care Home Open Day, make sure to follow us on Facebook and Twitter. If you would like to share your experience and pictures of Care Home Open Day this year please include #CHOD17 or #carehomeopenday in your posts. If none of the above activities take your interest and you would just like your care questions answered in confidence please click here to find your nearest Hallmark care home. Our dedicated care team are happy to assist you with your queries and facilitate a tour of our facilities where needed.